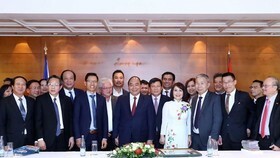 NA deputies yesterday discussed the feasibility of land clearance and resettlement to build the Long Thanh International Airport mega project in southern Dong Nai Province. They expressed concerns about the capital sources proposed to implement the project. A model of Long Thanh International Airport. The land clearance will require an estimated total investment of VND22.98 trillion (roughly US$1 billion), according to the latest draft resolution. The NA previously agreed to allocate VNĐ5 trillion for the project under the 2016-20 medium-term public investment plan, so the project still requires nearly VND18 trillion in capital. The first option was arranging VND15 trillion from the approved State investment sum of VND80 trillion for national major projects, under a November 2016 NA Resolution. The rest would come from the collection of land use fees. 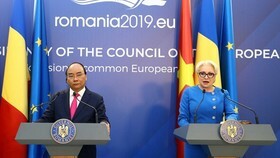 NA deputy Vu Thi Luu Mai of Hanoi said that neither of the two options was optimal, adding that more consideration was needed to find a better solution. In the first option, the sum of VND15 trillion was previously allocated to four railway and 10 road projects. All are urgent and transferring those funds to the airport project would be unreasonable, Mai said. 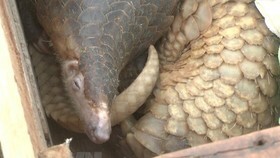 The second option was not in line with the principles of using the provision fund, according to Mai. 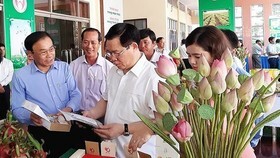 According to NA deputy Tran Hoang Ngan of HCM City, the first option sounded more feasible. He said that using the reserve/provident fund, as per the second option, would be a very slow way to raise capital, because accessing the fund requires a detailed plan. NA deputy Hoang Van Cuong of Hanoi said that the feasibility report still lacked detailed data about the total area of land which must be cleared, the total compensation value required and plans for resettling residents, as well as a comprehensive evaluation of the project’s impacts. Cuong said that the planning of resettlement areas and prices of land for compensation must be given careful consideration. According to the project’s pre-feasibility report, the 282-hectare Loc An – Binh Son resettlement area would be built in the 2018-19 period to relocate more than 4,700 households. 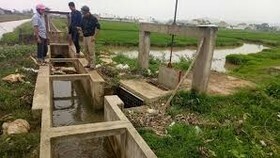 A second resettlement area, Binh Son, also covering more than 282 hectares, would be developed in 2018-20 period. Cuong said that an airport city near Long Thanh International Airport might be developed. Therefore, the Government plans should take into account the growth of the city along with the development of the airport to turn it into a hub for the Southeastern region. “This is such a huge project,” NA deputy Duong Trung Quoc of the southern province of Dong Nai said, adding that close supervision was needed to prevent problems from arising, especially an unexpected increase in capital demands, which might push up public debt. 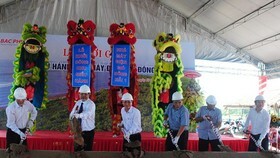 Minister of Transport Nguyen Van The said that the development of Long Thanh International Airport was necessary as Tan Son Nhat Airport in HCM City was now severely overloaded. 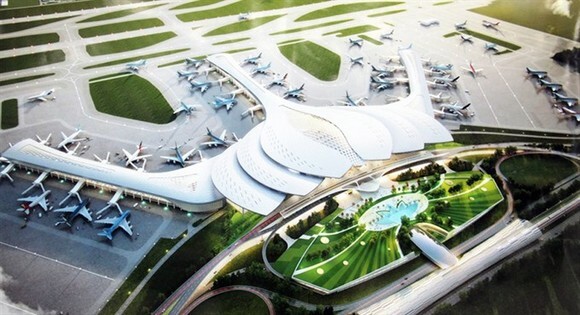 Long Thanh International Airport, 40 kilometres from HCM City, 30km from Bien Hoa and 70 kilometres from Vung Tau is planned to have the capacity to receive 100 million passengers per year. 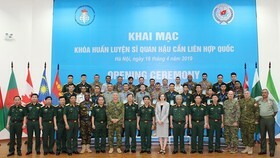 NA deputy Vu Xuan Hung of Thanh Hoa Province said that it was necessary to study carefully the list of State secrets to prevent information from being leaked or suppressed. Regarding the draft Law on Cyber Security, NA deputy Nguyen Viet Dung of HCM City said that the draft needed to be revised to avoid overlaps and inconsistencies. In addition, careful study should be given to the draft regulation requiring foreign providers of telecoms, internet services and social networks to install host computers in Vietnam. For example, requiring social network providers like Facebook to set up host computers in Vietnam to manage operating accounts in the country would be infeasible, he said.